Welcome to the official website of the Wayne State University Student Senate! Here you will find information about our meetings, our committees, our events, the initiatives and projects we are working on, as well as links to helpful resources and services around campus. 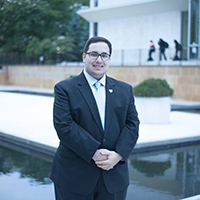 The Student Senate is the official student government at Wayne State University. Made up of students from every school and college, we have been elected to represent and serve you. It is our job to work on your behalf to improve the student experience at Wayne State University and to support student success. Get Involved! The Student Senate is looking for students who are interested in making a change on campus to work with us on our shared initiatives. If you are interested, please contact us. Together, we can make a difference in the lives of students all over campus.